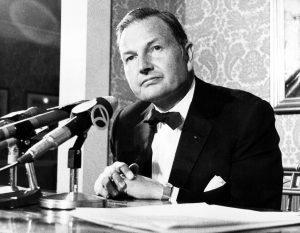 Philanthropist and billionaire banker David Rockefeller, a former CEO of Chase Manhattan Corp and the head of one of the richest and most powerful American families, died Monday morning. He was 101. A statement emailed to Bloomberg by family spokesman Fraser P. Seitel said Rockefeller died of congestive heart failure in his sleep, in his home in Pocantico Hills, New York. Rockefeller was born in Manhattan on June 12, 1915, where he attended the Lincoln School, an experimental private school that was funded by the Rockefeller family. David grew up in what was then “the tallest private residence ever built in New York City,” a nine-story house on West 54th Street. The home later became part of the Museum of Modern Art, which his mother, Abby, helped establish, Reuters reported. Rockefeller was the last surviving grandson of John D. Rockefeller, the nation’s first billionaire who made his fortune as the head of Standard oil—a massive multinational that was eventually broken up into 34 separate companies including Chevron and Exxon. In 2014, Forbes traced John D. Rockefeller’s legacy to span 200 family members whose net worth totaled about $10 billion. David Rockefeller told NewsHour in 2002 that along with his wealth came a great sense of obligation. “I think we were brought up both in what was said, but more importantly what was done by members of the family, to feel that we were exceptionally fortunate in having resources and opportunities that many people don’t, and that with opportunity goes responsibility,” he said. Rockefeller graduated from Harvard in 1936 and studied one year at the London School of Economics. In 1940, he received a Ph.D. in economics from the University of Chicago — a school founded by his grandfather, John D. Rockefeller. He also married his wife, Margaret McGrath, the same year and would go on to have six children: David Jr., Richard, Abby, Neva, Margaret and Eileen. His wife died in 1996. In 1942, he joined the Army and served in North Africa and France during World War II. He was discharged in 1945. The Rockefellers have long made their mark on New York, including Rockefeller’s father, John D. Rockefeller Jr., who developed Rockefeller Center. David, too, continued that tradition beginning with a “dollar-a-year job” as a secretary to Mayor Fiorello La Guardia. “No individual has contributed more to the commercial and civic life of New York City over a longer period of time than David Rockefeller,” former New York mayor Michael Bloomberg said in a statement Monday. “David loved his hometown and was forever optimistic about its future. When others were abandoning Lower Manhattan, David built a new downtown headquarters for Chase Manhattan Bank and conceived a hugely ambitious World Trade Center to revitalize the area,” he wrote. Returning home, Rockefeller entered the world of banking. The next year, he became an assistant manager at Chase National Bank. Fifteen years later, he became president of the company, then known as Chase Manhattan. In 1969, he became chairman and CEO. As The New York Times pointed out, Rockefeller’s decision to open Chase’s headquarters in Wall Street was “ a huge investment that helped revitalize the financial district,” and as one of the founders of the Downtown-Lower Manhattan Association, he encouraged the construction of the World Trade Center. “The spirit of civic responsibility that defined his career brought great public benefits to our city and country, and it inspired so many others to become more involved in philanthropy and public affairs,” Bloomberg said. In 1967, David helped found the Rockefeller Family Fund, a philanthropic group that supplies funding, grants and strategic support for groups advocating for environmental protection, women’s economic rights and business and government accountability. He also founded the Trilateral Commission, a nonprofit that promotes cooperation between North America, Western Europe, and Japan, in 1973. At Rockefeller’s urging, Chase became the first U.S. bank to expand to China and the Soviet Union, the BBC reported. He was known for establishing a controversial style of banking diplomacy; he met with more than 100 world leaders during his time at the bank, he told NewsHour in 2002. 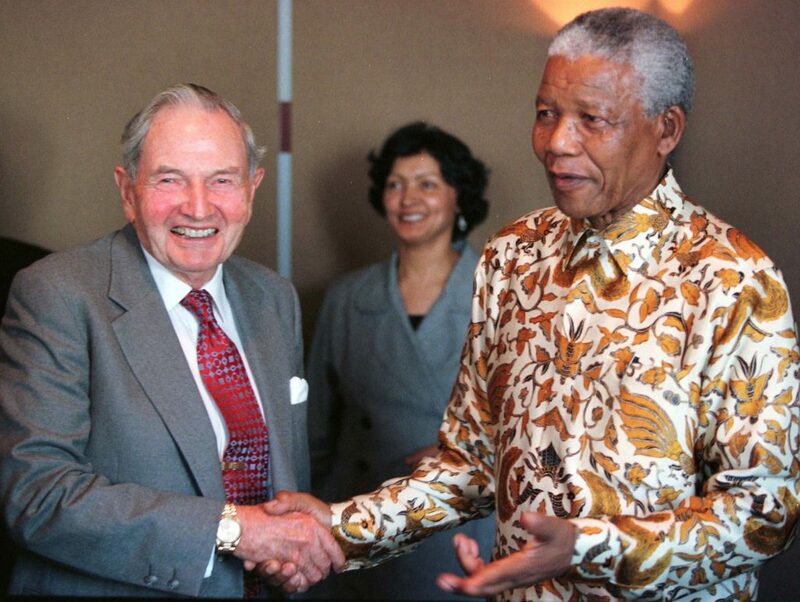 South African President Nelson Mandela poses for photographers with David Rockefeller following a business breakfast held at the Rockefeller Center. Photo by Reuters. Rockefeller also frequented South Africa, where he became known to organizing meetings with underground black leaders, in addition to the meetings he held with white separatist businessmen. “But Rockefeller took a lot of heat for his bank’s substantial dealings with South Africa’s white separatist regime and for helping the deposed, terminally ill Shah of Iran come to New York for medical treatment in 1979, the move that triggered the 13-month U.S. embassy hostage crisis in Tehran,” the Associated Press notes. Later in life, Rockefeller’s commitment to philanthropy grew. Estimates of his fortune vary, but Forbes Magazine placed his wealth at $3.3 billion. He gave more than $2 billion to education and arts groups or charity, according to Reuters. Tens of millions of dollars went to Harvard and the Museum of Modern Art, including a $100 million bequest to the museum in 2005, the Times reported. For his 100th birthday, Rockefeller donated 1,000 acres of land near Acadia National Park to a public preservation charity. “This magnificent state and its wonderful residents have been such an integral part of my family’s history. It is my hope that the public should forever benefit from this beloved tract of land,” Rockefeller said at the time. His philanthropic streak was recognized by former President Bill Clinton, who awarded Rockefeller with a Presidential Medal of Freedom, the highest civilian honor in the country, in 1998. 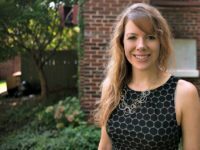 “Rockefeller is a name that resonates throughout American history. It means not only private success and wealth, but also an abiding sense of public responsibility,” Clinton said. “David Rockefeller is a gentleman, a statesman, a scholar, and most important, a genuine humanitarian of the likes our nation has rarely seen,” the president added.